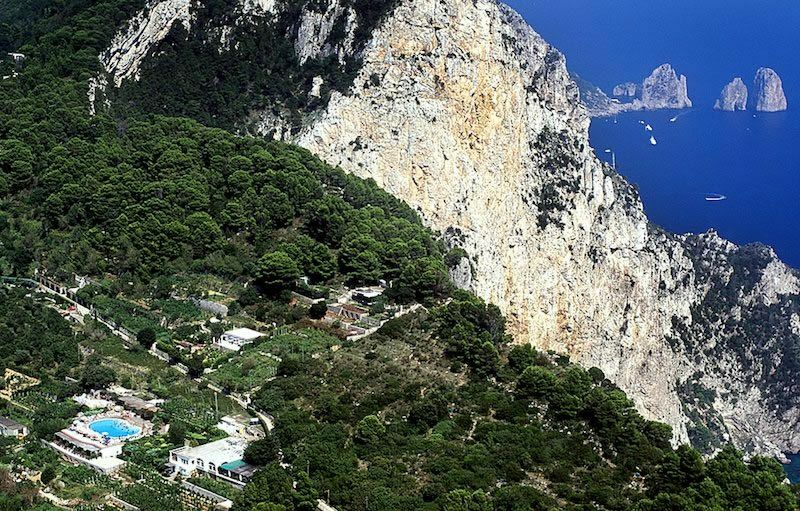 Although not as well known as the town of Capri, Anacapri is also devoted to tourism. Anacapri still has the charm of a relaxed village whose streets are lined with souvenir shops. Its biggest draw is Villa San Michele di Axel Munthe within walking distance from the Piazza Vittoria. The villa was constructed on the remains of a Roman Villa, preserving its sculptures and to which he added a precious garden. The views from the garden make it the perfect place for summer concerts held there. 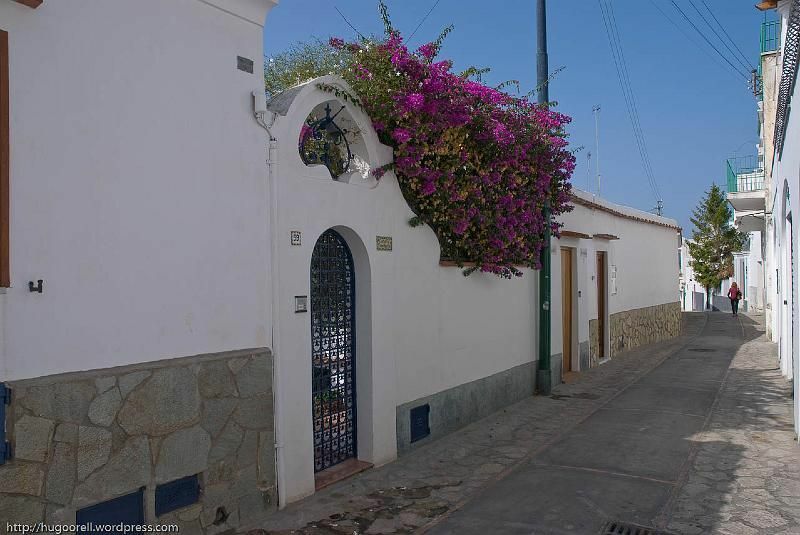 A great way to explore Anacapri and its surroundings is on foot. The summit of Monte Solaro is the highest peak on the island. The 2-km ascent begins at Via Axel Munthe. Then take Via Salita per il Solaro (right). Walk uphill until you find the iron crucifix. From there take the right path. As you reach the top the vantage point, you'll be welcomed with fantastic views of the Bay of Naples and the Amalfi Coast. Another stunning 2-km walk takes you to the Belvedere di Migliera, it starts at Piazza Vittoria. 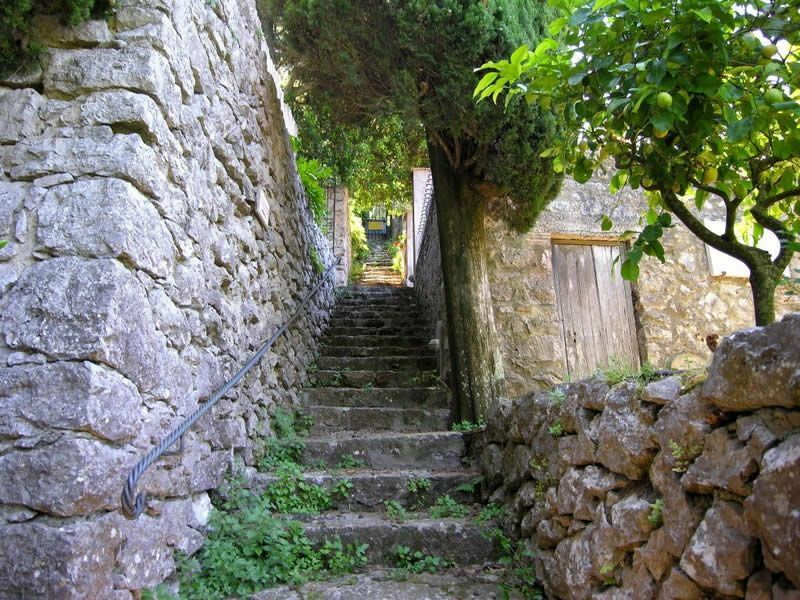 From there take Via Caposcuro and then Via Migliera, which is lined with orchards, vineyards and woodlands. You'll end up at the belvedere from whose platform the sea-views are admirable. Sit at the chairlift at Seggiovia del Monte Solaro to reach the summit of Monte Solaro where you will be stunned by the views of the bay, the Amalfi Coast and the islands. Chiesa di San Michele, built in the baroque style (Piazza San Nicola), features stunning majolica flooring depicting Adam, Eve along with real and imaginary animals. La Casa Rossa (Via G Orlandi) is a 19th century house where antiques and paintings are exhibited. Tiberius had Villa Damecuta built northeast of Anacapri. Vestiges are scarce but the views from there are fantastic. For a good bathing place head to the faro, the country’s second most majestic lighthouse. Buses serve the faro every 30 minutes on average. Among the important celebrations in Anacapri is its patron saint’s day, Festa di Sant ‘Antonio, celebrated with concerts and street processions. In September, the Settembrata Anacaprese is held with gastronomic evenings, sport competitions and outdoor markets with the presence of a multitude of enthusiasts to welcome the grape harvest. One of the local specialities that you must try is the Limoncello Capri. Limoncello was prepared for the first time for a hotel and has since increased its production to 70,000 bottles a year. The business now includes lemon chocolate, lemon marmalade, lemon honey and ceramics with lemon decorations. If you long for good Italian traditional dishes and other non-traditional ones, then La Rondinella (Via Orlandi) is an ideal place. Le Arcate (Via de Tommaso), nicely decorated with a warm atmosphere. They specialize in the preparation of first courses and pizzas. You should definitely go there for the risotto with crab meat and parmesan cheese. The tranquil Trattoria da Giovanni a Gradola is a nice place by the Grotta Azzurra, perfect for savouring a summer lunch while you have a stunning view of the sea. Check out Trattoria Il Solitario (Via G Orlando ) in Anacapri’s centre if you simply need a basic yet delicious meal (pasta, seafood, grilled meat and pizza). The price is reasonable and the servings are generous. It is a place not to be missed. Reservations are a must in the summer.